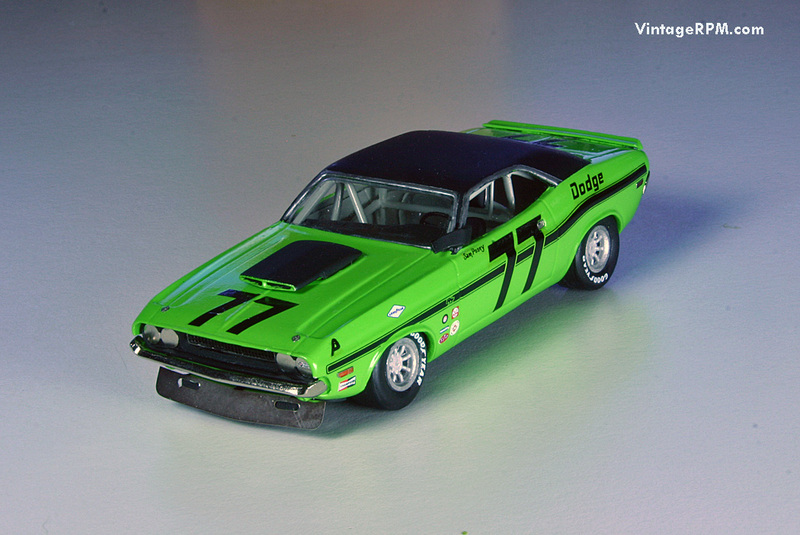 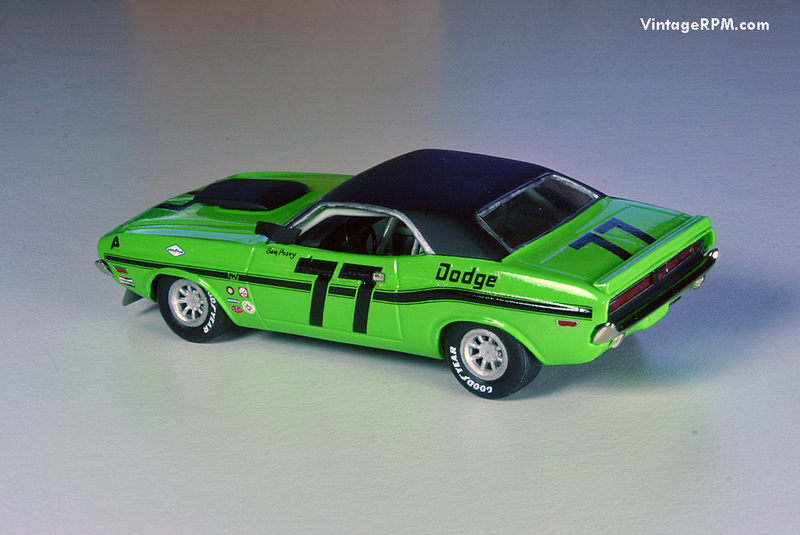 Dodge Challenger driven by Sam Posey in the 1970 Trans-Am series. 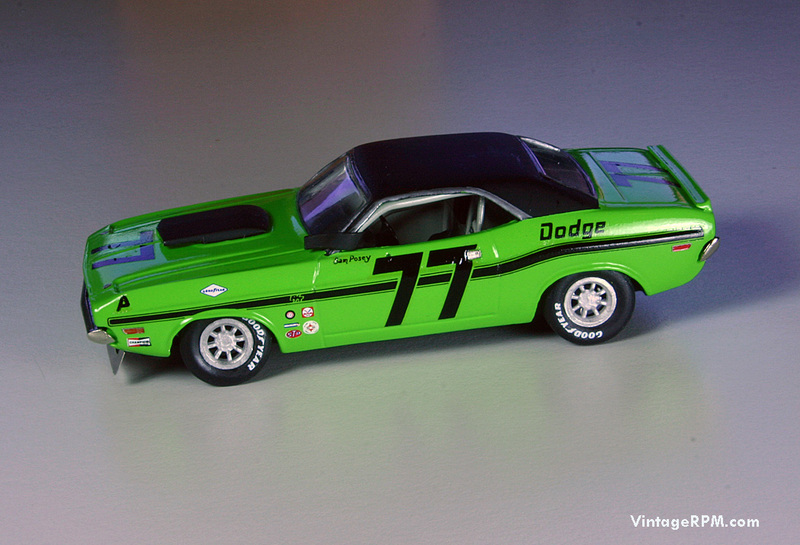 The black roof on the real car is painted with black crinkle paint- it is not a vinyl roof. 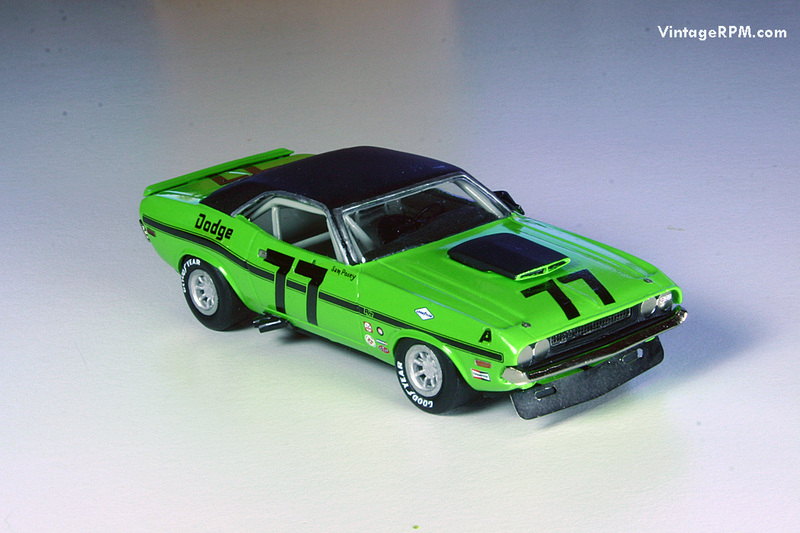 Main body color on model painted with Testors Sublime.